رايح ومش راجع | لماذا أصبحت الهجرة هدفاً والفيزا حلماً؟؟ من يدفع الشباب السوري للـ "روحة بلا رجعة"
لماذا أصبحت الهجرة هدفاً والفيزا حلماً؟؟ من يدفع الشباب السوري للـ "روحة بلا رجعة"
When Bashar al-Assad came to power, Mohammad al-Abdallah believed things in Syria would finally change for good. Ten years later, he tells the story of a personal disillusionment. Bashar Al-Assad has now been in power for 10 years. To me, that period equates to the length of time that members of my family and I have spent in Syrian prisons. From the initial hope that accompanied his ascendance to the country’s presidency to this bitter realization a decade later, Syrians have undergone spiraling feelings of disappointment. When Assad succeeded his father, Hafez, like many other Syrians I was hopeful that an era of change was dawning. We hoped that the new millennium would bring to an end the dark years of the father’s ruthless rule, when prisoners of conscience could die from torture in detention. But the years that followed showed me how misplaced my optimism was. In the first year of Assad’s presidency, the Syrians experienced briefly the euphoria of change. The country witnessed an overwhelming number of forums of discussion, planning democratic reform. However, this period, which came to be known as the “Damascus Spring”, was swiftly crushed by the authorities. As the whole world was shaken by the terrorist attacks of 11 September in New York, the Syrian government was busy arresting opponents to the ruling Baath regime. 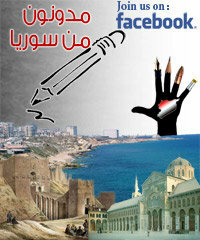 Ten of Syria’s most prominent intellectuals were thrown behind bars for peacefully calling for reforms. Still, many hoped that they would be released soon. They thought the arrests were the making of the autocratic old guards of the regime. They believed that the young president, who wanted to implement reform and change, would eventually grow stronger and defeat the conservatives. In the years that followed, we realized that nothing had changed. The calls for democracy and freedom of expression continued to be stifled. Yet Assad was still able to convince the Syrians that he was a reformist president who needed more time to accomplish his vision. 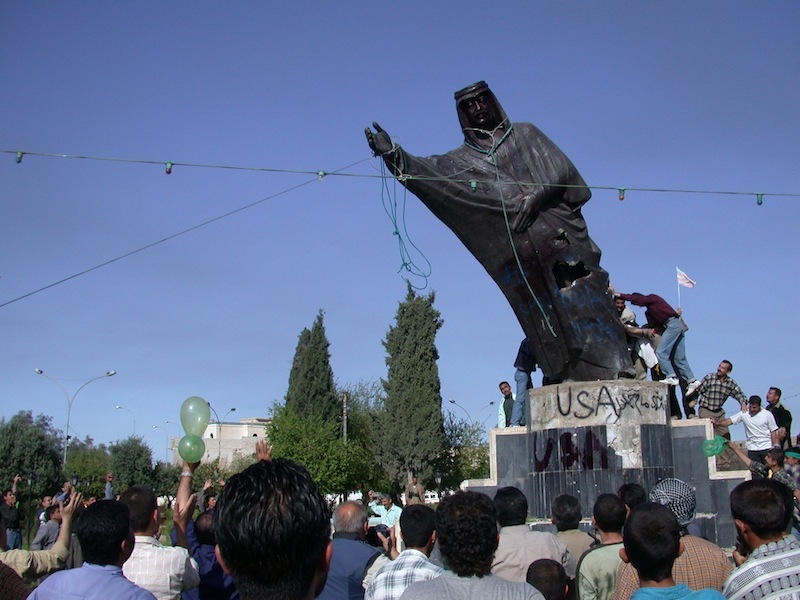 The fall of Saddam in Iraq had strong repercussions in Syria. The US invasion of Iraq in 2003 gave him another alibi to delay the implementation of reforms. The so-called existential threat against the Syrian establishment after the crumbling of the Baath regime in Iraq allowed the president to justify the prolongation of oppression on the internal front. Two years later, a dramatic regional development extended this policy. With the 2005 assassination of Lebanese prime minister, Rafiq Hariri, widely blamed on Damascus, Syria officially entered a phase of international isolation. Western powers forced the withdrawal of Syrian troops from Lebanon and the establishment of an international tribunal into the killing of Hariri placed the regime under a sword of Damocles. It was in this context, in my opinion, that the president showed his tyrannical face. That year was a dramatic time for Syrians, and mainly for my family. My father was arrested in May 2005 for his activities in the Atassi forum, the only space for political discussion that had survived the crackdown on forums in 2001. I also went to prison a few months later for merely lobbying for the release of my father. I was released by a military court after a month in detention. My father was also set free six months after his arrest thanks to a presidential amnesty. I naively believed this would be the end of our ordeals. Little did I know. Less than half a year later, Assad decided to end the phase of relative tolerance for political dissidents. The secret services were given a green light to crush human rights activists. The message was clear to the Syrians: if you keep on raising your voices, you will end up in jail. Subsequently, 2006 turned out to be one of the gloomiest years for civil society – and my family, in particular. In one week, all the men in my family were arrested and kept in unknown locations. My brother was arrested with seven of his college classmates for running an online forum. Five days later, the security services arrested my father and me in two separate raids. It took me five weeks to find my father in the Sednaya military prison near Damascus. He had not been aware of my arrest. My brother was also in the same prison; each of us was on a different floor. I was in a nasty cell two floors underground, my brother was on the floor above me and my father was on the second floor. After my reunion with my father, we asked to see my brother but the prison insisted that he was not in the same detention centre. My father and I spent 18 days together in this jail before security agents dressed in civilian clothes transferred us to the Adra prison. There I met 10 other activists who were detained for signing the Damascus-Beirut declaration, a joint statement by Syrian and Lebanese intellectuals calling for the improvement of relations between the two neighboring countries. I was finally convinced that nothing had really changed between the times of the father and those of the son. We were still living in a dictatorship. While some analysts might argue that the invasion of Iraq and the assassination of Hariri put the regime at risk and pushed Assad’s government to adopt a hawkish, defensive posture, the relaxation of relations with the west since 2007 proves that this line of analysis is flawed. As French and US officials poured into Damascus, Assad felt reassured that his regime was no longer in danger. 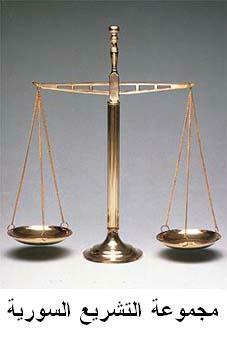 Civil society expected a release of prisoners and reforms to finally ensue. Nothing of the sort happened. New waves of crackdown on activists followed as the US and Europe watched in silence. 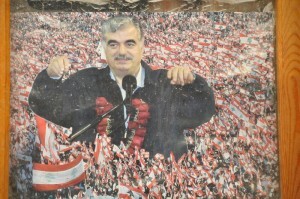 After the assassination of Lebanese Prime Minister Rafik Hariri in 2005, Syria became internationally isolated. Following my release with my father after six and-a-half months in prison, I tried in vain to visit my brother in jail. Defendants tried by the State Security Court have no right to visits by family or even a lawyer before they are sentenced. Without seeing my brother, I had to leave for Lebanon where I finished law school. All along, something inside was telling me that I would not go back home. During my exile in Lebanon, I heard that my father, along with 11 other political dissidents, had been arrested again. This marked the point of no return for me. I applied for refugee status at the United Nations High Commission for Refugees, UNHCR, in Beirut. For me the word refugee sounded strange. I had never thought before that my country would push me to become one. Ironically, despite all the ordeals of human rights activists in Syria, I see the first lady, Asma al-Assad, with her camera-friendly looks, telling the western world that the government is trying “to open more space for civil society.” I don’t know why, but every time I see her photogenic face, I remember my mother lying in a hospital bed suffering from kidney disease, heart problems and cancer. She is alone in her hospital room while her husband is in jail, her son is in another prison and her eldest is in exile. Recently, Assad celebrated his first decade in power. A month earlier, my family was preparing to celebrate for other reasons. On June 17, my father was supposed to be set free after 30 months in prison. The government, however, decided to keep him instead in the same jail where he is facing again the same charges that had led to his imprisonment for a total of four years after three different trials. The charges are the “broadcast of false information that threaten to weaken the national sentiment”. Can those who argue that Assad is a true reformer look me and my family in the eyes and say so? Mohammad al-Abdallah is a Syrian human rights activist and writer living currently in Washington DC. I’ve written this testimony to the Alternative Report to the Syrian Government’s Initial Report on Measures taken to Fulfil its Commitments under the Convention Against Torture and Other Cruel, Inhuman or Degrading Treatment or Punishment. I was beaten while being questioned by State Security Intelligence, Branch No. 285 (based in Damascus). The interrogator slapped and punched me several times, and I was forced to stand, blindfolded with my hands cuffed behind my back, for the entire three-hour interrogation. The interrogator more than once threatened to use the “tire” on me and whip me. When I refused to answer some questions, I was made to kneel down on my knees. Prisoners arrive at the Sednaya Prison cuffed and blindfolded, having no idea where the security truck is taking them as they leave the detention centre. Prisoners are usually transferred in groups. After I reached the prison, I was thrown in a solitary cell; it was smaller than I was and I could not stretch out. The cell was two floors underground, dark with no light, measuring about 160 by 180 cm. It contained a detached toilet about halfway up the wall. The cell smelled awful and filth was everywhere. The next day, food was distributed. Through holes in the door, I saw rations in front of each cell for four people. It later turned out that the two solitary cells facing mine and next to me held four individuals—four people packed into the same space that was confining for me alone. Groups of prisoners began arriving in the next few days. I spent 55 days in that cell during which two groups of prisoners arrived, each one numbering seven to ten people. Three prisoners arrived individually. The guards began screaming, “They’ve brought them, they’ve brought them! May God send good fortune, bring the tire.” Prisoners arrived to the hall, lined on both sides by solitary cells like mine. 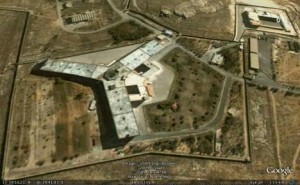 More than ten guards arrived with a major from the Military Police, which runs the Sednaya Prison. The guards began beating the prisoners using rubber car tires. The prisoner would lie on his back and bend his legs, after which the tire would be put around his legs. Then the prisoner would be turned face down and a guard would stand on his back to prevent him from moving. Other guards would then whip the soles of his feet, and the screams would grow louder. The whipping was done with a very thick piece of rubber, probably an engine belt from a large machine. Major: What do you do? Major: So you know what a tractor sounds like. Prisoner: Yes sir, I know. Major: So let’s see. Make me the sound of a tractor or else the beating won’t stop. Prisoner: I swear, I don’t know how, sir. Major: You don’t know, or you forgot? Prisoner: I forgot, I forgot the sound. Major to the guards: So remind him (an order to whip him). The guards gave him more than 20 lashes and the prisoner screamed. The major stopped the guards and asked the prisoner: So, have you remembered? Prisoner: Yes, yes, I’ve remembered. Major: So do it, make the sound of a tractor. The prisoner began making a tractor-like sound while the major and guards laughed for five minutes. He ordered a new round of beating and the guards gave him more than 20 lashes. guards and threw water on the prisoner’s face. Instead of stopping the torture, the major followed his wishes and he was whipped without having a guard stand on his back to restrain him. This torture session lasted more than two and a half hours, after which the prisoners were stuffed four in a cell, as small as mine. The second group of prisoners was larger. This time a different officer, a captain, came, but the captain also kept his sense of humor while torturing the prisoners. During the whippings, he would ask the guards to stop and then order the prisoner restrained by the car tire to sing. He would say, “Sing this song by so-and-so,” and then later the singing would be used to justify more torture. The captain would scream, “Shut up! Shut up! Your voice is disgusting. Give me a scream instead of a song,” and then he would gesture at the guards to resume the whipping. Later the captain would order the prisoner to bark, howl, or make other animal sounds. After one prisoner began howling like a dog at the captain’s order, the captain shouted at the guards, “I told you he’s a dog. Go ahead and beat him.” The guards then began beating him again. This torture session lasted more than three hours, after which the prisoners were placed in solitary cells like mine. Three prisoners arrived individually, not part of groups. The three were severely beaten. Apparently, if a prisoner arrives by himself, it gives the guards more time to be creative with the beating. 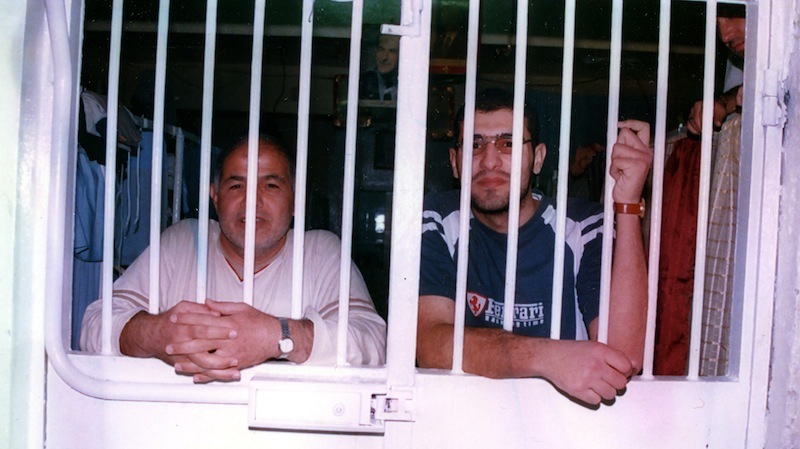 One prisoner, Khidr Abdullah Ramadan, reached the Sednaya Prison on about April 18, 2006, after being held for 70 days at a military detention branch run by Military Intelligence. The young man, his head completely shaved, was brought into my cell, which was too small for just me alone. The guards forced him to jog for a half hour so the blood wouldn’t clot on his feet. They kept saying, “Trot, you animal.”I carried the young man to the toilet for three days after that since he could not stand on his feet. Abdullah, my cellmate, told me terrifying stories about the torture he had seen at the military interrogation center in Damascus. He had spent 70 days there in a group cell. He said that he wasn’t beaten at all at the branch, but that every day a prisoner would be taken in for interrogation and would be brought back bleeding on a blanket. The thing he most remembered was one prisoner who was severely injured by the torture. After he was carried on the military blanket and thrown down by the soldiers, he didn’t stop bleeding. The prisoners started screaming that he would die. The soldiers came back with some gauze and disinfectant and threw them through the small slot in the door of the cell and told the prisoners to clean up his wounds. Often the soldiers, the prison guards at the Sednaya Prison, would force the prisoners to make sport. A guard would open the small slot in the cell door and order the prisoners to lie down, stand up, jog, or jump, knowing that the cell wasn’t big enough for even one prisoner to do this. In some cases, the prisoners would bang on the cell door. When the guard would ask who it was, the prisoner had to answer with his cell number; the use of names was prohibited. Most often, the prisoners asked for water. The water in the cells had been cut off and was turned on for only ten minutes three times a day. When the water was turned on, the guards would tell the prisoners to fill their plastic containers or to use the toilet. The scarcity of water was a big problem in the Sednaya Prison. I spent 55 days in that filthy cell, bathing only once. Prisoners began scratching themselves. The guards were worried and sent for the prison doctor an officer at the rank of first lieutenant, who diagnosed the problem as scabies. He ordered the guards to distribute a gallon of hot water to every prisoner, and he gave them a disinfectant solution which they put in the water. That was the only time I bathed. After that, I spent 18 days in a group cell on the third floor, measuring 9 by 6 meters. It was very large. I was placed in there with my father, the writer Ali al-Abdullah, who told me about cases that were totally like what I had seen. In the two months we spent there together, I learned for certain that as soon as any prisoner arrives to the Sednaya Prison, he is greeted the same way, in what is known as a welcoming party, or the welcoming tire. The beating is very severe, after which he is placed in a solitary cell with three other prisoners for up to one full year, during which time he does not breathe, or see light or sunshine. He only bathes if the doctor orders it, fearing the spread of scabies or other skin diseases. أنتجت شبكة الصحفيين الدوليين مقطعاً للفيديو على صفحة اليوتيوب”IJNet Arabic” ، يتم فيه شرح كيف يتمكن الصحفيون من استخدام “خرائط غوغل” في تقرير إلكتروني ينشر على الانترنت، وكيف يمكن للقارئ أن يستفيد من هذه الخرائط في الحصول على المعلومات. أفرجت السلطات السورية مساء يوم الخميس 7/1/2010 عن المدون السوري الشاب كريم عربجي بموجب قرار عفو خاص صادر عن رئيس الجمهورية العربية السورية . جدير بالذكر ان جهاز امني سوري كان قد اعتقل المدون الشاب كريم عربجي (32 سنة) بتاريخ 7/6/2007 على خلفية مشاركته في إدارة منتديات على شبكة الانترنت وأصدرت محكمة امن الدولة العليا بدمشق في 13/09/2009 حكما بالسجن لمدة ثلاث سنوات بحقه بتهمة نشر أنباء كاذبة من شأنها أن توهن نفسية الأمة وفقا للمادة 286 من قانون العقوبات السوري . الفصل الخاص بسوريا من التقرير الأخير للشبكة العربية لمعلومات حقوق الإنسان حول حرية الإنترنت في العالم العربي، التقرير بعنوان شبكة إجتماعية واحدة ذات رسالة متمردة. في الربع الأول من عام 1963 أصدر المجلس الوطني لقيادة الثورة في سوريا الأمر العسكري رقم 2، الذي نص في مادته الأولى على أن “تعلن حالة الطوارئ في جميع أنحاء الجمهورية العربية السورية ابتداء من 8/3/1963 وحتى إشعار آخر”. ومنذ هذا التاريخ، وحتى الربع الأخير من 2009، أكثر من 46عاما، لم يصدر ذلك الإشعار الأخر، وباتت حالة الطوارئ والأحكام العرفية في سوريا هي الأقدم والأطول عمرا في العالم، وعلى الرغم من ذلك دأبت الصحافة السورية التابعة للحكومة “وأغلب الصحف السورية كذلك” تحاصر المواطن السوري بعناوين تثني على الديمقراطية والحرية السورية، رغم أن حالة الطوارئ المفروضة تعني استمرا السجون والمحاكمات الجائرة للنشطاء و المعارضين السوريين. وباتت الأشهر القليلة من الانفتاح التي أعقبت تولي الرئيس بشار الأسد الحكم خلفا لوالده الرئيس الراحل حافظ الأسد، ليست أكثر من استثناءا يؤكد القاعدة. بلغ عدد مستخدمي الإنترنت في سوريا في عام 2000 نحو 30 ألف مستخدم. وتضاعف بعد تسعة أعوام فقط بأكثر من مائة ضعف. وخلال تلك الفترة اختلفت شروط الحصول على الخدمة بشكل كبير حيث كان على الراغبين بالاشتراك إحضار صورة عن بطاقة الهوية ونسخة مطبوعة من استمارة طلب الاشتراك إلى مركز خدمة الزبائن، وتوجب عليهم ملء بيانات الاسم واسمي الوالدين والجنسية ورقم الهوية الذي تصدرها الحكومة وتاريخ ومحل الميلاد والمهنة واسم المستخدم وكلمة السر. أما اليوم فالوضع مختلف تماماً، فيمكن لأي مواطن الاشتراك بخدمة الإنترنت المسبقة الدفع عبر شراء بطاقة مسبقة الدفع من أي مكتبة أو محل اتصالات ليجد عليها تعليمات الاستخدام التي لا تتطلب تسجيل بيانات المستخدم (نظرياً كون بيانات هاتفه الأرضي الذي يتصل منه مسجلة مسبقاً). ويزيد عدد مستخدمي الإنترنت في سوريا حاليا عن 3.5 مليون مستخدم . ونظرا لأن عدد السكان 21.7 مليون نسمة، تقدر نسبة مستخدمي الإنترنت إلى مجموع السكان بـ 16.7%. ويقارب معدل انتشار خطوط الهاتف الثابت 17% ، حيث يعتمد معظم السوريون على الاتصال الهاتفي (دايل أب) للاتصال بالإنترنت. قد يوحي تقارب نسبة مستخدمي الإنترنت مع نسبة مالكي الهواتف الثابتة أن جميع هؤلاء تقريباً يستخدمون الإنترنت، إلا أن معرفة نسبة انتشار أجهزة الكمبيوتر (8.7% فقط حتى نهاية عام 2007) يؤكد أن نسبة كبيرة من السوريين يستخدمون الإنترنت من مقاهي الإنترنت. عدد مشتركي الاتصال الواسع النطاق بلغ 11,100 مشترك، وهي نسبة ضئيلة للغاية 0.05% فقط ، حيث خدمة ADSL في سوريا هي الأصعب منالاً والأغلى في الشرق الأوسط . نسبة انتشار الهاتف المحمول ضعيفة هي الأخرى وتقارب 33.24% ، في عام 2009 بدأت شركتا الهاتف المحمول بتقديم خدمة الإنترنت عبر الهاتف (الجيل الثالث أو G3) إلا أن عدد مستخدميه لا يزال محدوداً للغاية. تحتكر الجمعية السورية للمعلوماتية (الأولى) والمؤسسة العامة للاتصالات خدمة الإنترنت في سوريا منذ نشأته. وشهد أواخر العام 2005 دخول أول مزود خدمة إنترنت “خاص” لسوق الاتصالات، هو مزود “آية”. ومن ثم دخلت الشركات الخاصة مثل سوا، إلكم، إيزي ون، زاد نت كمزودات خدمة إنترنت خاصة. تعمل هذه المزودات بحكم مذكرة تفاهم تجريبية تبرمها تلك الشركات مع المؤسسة العامة للاتصالات لتحصل من خلالها على حزمة أي نطاق وبوابات إلكترونية، تستثمرها كمزود خدمة إنترنت خاص. ووصل عدد مزودي هذه الخدمة لـ (تسع) شركات وقد يوحي وصف تلك الشركات بأنها مزودات خدمة “خاصة” بكونها مستقلة، إلا أن الحقيقة تؤكد عدم استقلاليتها. فتلك المزودات تعمل ضمن مفهوم تجارة الخدمات أي أنها تشتري الخدمة من مؤسسة الاتصالات لتضع لها ماركة تجارية ومن ثم تبيعها للمستهلك . ترتب على السياسة السابقة أمران هامان: الأول أن جميع مزودات خدمة الإنترنت في سوريا (بما فيها الإنترنت عبر الهاتف المحمول) تمر بإتصالها بالشبكة الدولية عبر بوابتين حكوميتين هما بوابة الجمعية السورية للمعلوماتية وبوابة المؤسسة العامة للاتصالات، ولعبت السلطات دوراً أساسياً في مركزة البنى التحتية للإنترنت لتسهل الرقابة عليها. والثاني أن عدد المستخدمين آخذ في التزايد بشكل جنوني فيما لم يطرأ على البنية التحتية الخاصة بالإنترنت إلا تطور طفيف لا يذكر، بالنتيجة فإنه رغم الزيادة الظاهرية بعدد الشركات التي توزع الخدمة إلا أنها جميعها تستخدم البنى التحتية ذاتها. واليوم تخدم البنية التحتية المجهزة لخدمة مئتي ألف مستخدم فقط ما يفوق 17 ضعف طاقتها، الأمر مما يتسبب في تكرار انقطاع الإتصال بالإنترنت “الذي يتطلب عدة محاولات ووقت وصبر أيوب” . كما يتسبب في إختناقات كبيرة في الشبكة، وبطء في التحميل لدرجة أن ذلك بات أمرا مألوفا لدى مستخدمي الإنترنت في سوريا، مما يصعب معه إرسال أي بريد إلكتروني يفوق حجمه (1ميجابايت). ترتبط سوريا بشبكة الإنترنت الدولية عبر قبرص، عن طريق كابل بحري طوله 239 كلم، بدأ بالعمل منذ 1995. وقدرة ذلك الكابل على التزويد محدودة للغاية، 622 ميغا بت/ الثانية. في تشرين الثاني/ نوفمبر 2008 وقعت كل من مؤسسة الاتصالات السورية وهيئة الاتصالات القبرصية إتفاقاً يقضي بتطوير الكابل ورفع قدرة الإنترنت (عرض الحزمة)، إضافة إلى البدء بإعداد دراسة جدوى إقتصادية لإنشاء كابل جديد تحت البحر. إلا أن أي من هذه الإتفاقيات لم ينفذ بعد . طرحت خدمة ADSL في سوريا منذ العام 2003 بأسعار خيالية، ورغم تخفيض الأسعار كثيرا منذ ذلك الوقت حتى اليوم، إلا أن انتشار الخدمة لا يزال محدوداً للغاية. يرجع ذلك إلى سببين: الأول هو عدم توفر البنى التحتية للازمة للخدمة في جميع المناطق. والثاني هو ارتفاع أسعارها الذي يبقى بعيداً عن متناول معظم السوريين حتى بعد تخفيض الأسعار. يكلف الاشتراك الشهري باتصال بسرعة 1 ميغا بت مبلغ 3400 ليرة سورية ، ما يقارب 70$ أميركي، في بلد لا يتعدى متوسط دخل الفرد فيه 200 $ أميركي. بقي الاشتراك في خدمة ADSLغير متوفر لفترة طويلة لعدم توافر الخطوط المجهزة. ورغم الوعود التي أطلقها وزير الاتصالات السابق عن توفير مليون خط جديد بحلول عام 2007 عبر الشركة السوريةـ الألمانية (إضافة إلى 280 ألف اشتراك بالإنترنت اللاسلكي “الوايرلس”) ، لم ينفذ شيء من الوعود السابقة، وحصلت شركة “هواوي” الصينية مؤخراً على امتياز تجهيز 33 ألف خط ADSL فقط، وهو عدد لا يوازي الطلب على الخدمة. أطلقت شركتا الهاتف المحمول في سوريا (سيريا تيل، أم تي أن) خدمة الإنترنت عبر الهاتف المحمول للجيل الثالث (3G) في أوائل 2009، إلا أن عدد المشتركين بالخدمة قليل للغاية، نظراً لغلاء أسعارها الفاحش (ألفي ليرة سورية أو ما يعادل 40$ أميركي للغيغا بايت الواحد). الإنترنت الفضائي ممنوع قانوناً إلا باتجاه الاستقبال (والهدف هو حصر مرور جميع البيانات عبر البوابات الحكومية)، ويمكن الحصول على اتصال بالاتجاهين بعد الحصول على ترخيص قانوني وموافقة أمنية . كما صعبت الحكومة إجراءات فتح المقاهي الإلكترونية، حيث يحتاج مالك المقهى إلى موافقة من المؤسسة السورية للاتصالات أولاً، ومن ثم موافقة أمنية من وزارة الداخلية. كما تفرض عليه الحصول على بيانات الزوار . رقابة الحكومة السورية على الإنترنت أمر شائع ومعروف، كما أن حجب وفلترة المواقع الإلكترونية منتشر بشدة في سوريا، وقد وسعت الحكومة قائمة المواقع التي تقوم بحجبها منذ أواخر 2008 . وتعترف السلطات رسمياً بأنها تحجب المواقع الإلكترونية الإسرائيلية والمواقع الإسلامية المتشددة أو التابعة لجماعة الإخوان المسلمين والمواقع الكردية التي تنادي بحقوق قومية للأكراد . وتسبب ذلك الوضع في دفع معظم المستخدمين السوريين لممارسة رقابة ذاتية بشكل كبير لا تشمل الكتابة أو التعليق فقط بل تشمل زيارة المواقع المحجوبة . تظهر نتائج الأبحاث التي أجرتها مبادرة الإنترنت المفتوح والتي نشرت في تقريرها السنوي الأخير في تموز/ يوليو 2009 أن المواقع التي تحتوي مواداً سياسية وأدوات للتحايل على الرقابة الحكومية أو للتصفح الآمن محجوبة بشكل كلي، في حين تحجب المواقع التي تتعامل مع موضوعات شائكة إجتماعياً أو أمنياً بشكل إنتقائي . وتفتقر إجراءات الحجب إلى الشفافية عموماً، ولا يوفر أي من مزودات الخدمة أية معلومات عن أعمال الحجب والفلترة التي يقوم بها. يستخدم السوريون صفحات البروكسي الوسيطة وأدوات التحايل للوصول إلى المواقع المحجوبة، ويفضلون استخدام مقاهي الإنترنت للوصول إلى المواقع المحجوبة . وتستخدم السلطات برمجيات تقدمها شركة كندية تدعى بلانتيوم انك لفرض رقابتها على الانترنت. يقوم البرنامج بإقتراح العناوين الإلكترونية لحجبها إعتماداً على قائمة من الكلمات الرئيسية التي تلقم للبرنامج يدوياً، ويقوم أيضاً بالتفتيش الدقيق للحزمة (deep packet inspection) الداخلة أو الخارجة إلى سوريا عبر البوابتين الحكوميتين، وهي المرحلة التي تتم بها فلترة وحجب المواد غير المرغوبة. ومنذ عام 2005 انتهجيت الحكومة السورية سياسة دعم وتشجيع المواقع الإلكترونية التي تنشر مواداً موالية للحكومة، في محاولة لجعل الرواية الرسمية للأحداث أكثر رواجاً كون هذه المواقع تعتمد بشكل أساسي على أخبار وكالة الأنباء الرسمية السورية (سانا). ومن ضمنها سيريا نيوز، الجمل، صدى سوريا، وشام برس، لدرجة أن الوزراء والمسئولين الرسميين السوريين ينصحون الصحافيين الأجانب بزيارة مواقع من هذا النوع . وفي 18 نوفمبر 2007 حجبت السلطات السورية موقع «فيس بوك» الشهير، وزعمت السلطات أن قرار الحجب، يرجع إلى استخدام إسرائيل للفيس بوك للتغلغل في المجتمع السوري. ولا تنفك الصحف الرسمية السورية من التهجم على الموقع والترويج للادعاءات بأنه “شبكة إسرائيلية” . بعد ذلك عمدت الحكومة إلى حجب أحد مواقع المدونات الأشهر عربيا في عام 2008 وهو “مدونات مكتوب”. اتخذت سياسة حجب المواقع الالكترونية منحى تصاعديا منذ أواخر العام 2008، حيث تم حجب العديد من المواقع السورية والعربية والعالمية وفي مقدمتها مواقع دولية شهيرة تلقى إقبالاً واسعاً خاصة ضمن شرائح الشباب ومنها “youtube” “blogspot”،”amazon”،”skype” وغيرها، ليتجاوز عدد المواقع المحجوبة وفق إحصاءات المركز السوري لحرية الإعلام والتعبير 225 موقعا الكترونياً . ولم تكتف السلطات بحجب المواقع عن المستخدمين، بل عمدت إلى إغلاق ما تمكنت من إغلاقه، عبر الضغط المباشر وتهديد مالكي هذه المواقع. ومن بين المواقع التي أغلقت نتيجة التهديدات، موقع “مرآة سوريا”، و”سيريا لايف” الذان تم إغلاقهما “طوعيا” في 2006، 2007 على التوالي . وبما أن إجراءات حجب المواقع دائما تفتقر إلى الشفافية، ولم يحدث أن حجب موقع إلكتروني واحد بقرار قضائي، وكون الجهة التي تصدر قرار الحجب مجهولة في الغالب، يغدو الطعن على قرار الحجب من قبل مالكي المواقع الإلكترونية أمراً مستحيلاً. إلا أنه في 6 نوفمبر 2007 تقدم المحامي عبد الله العلي مدير ومالك موقع النزاهة الإلكتروني بقضية أمام محكمة القضاء الإداري في دمشق ضد وزير الاتصالات طالباً إلغاء قرار حجب موقع النزاهة. وبعدما تلقى المحامي العلي رداً رسمياً من وزارة الاتصالات حمل الرقم /42/11939 ح وجاء فيه: (موقع النزاهة محجوب بموجب توجيه الفرع 225 الوارد بالفاكس رقم 389 في 3/10/2007) ، اتضحت الجهة الحقيقية التي تقف وراء حجب المواقع الإلكترونية. حيث أن “الفرع 225” هو الفرع المسئول عن شبكة الاتصالات العسكرية والتابع لشعبة المخابرات العسكرية. وهو ما يعد أول اعتراف رسمي من جهة حكومية أن المخابرات هي الجهة الفعلية التي تقف وراء أعمال الرقابة والحجب في سوريا. ينص الدستور على حرية الرأي، ولا يوجد قانون خاص بالنشر على الإنترنت. لكن السلطات تستمر في اعتقال المستخدمين جراء النشر على الإنترنت. وتعتمد الحكومة في قمعها للحرية على الإنترنت على مجموعة من المواد المطاطة ضمن قانون العقوبات السوري . يفوق عدد المعتقلين بسبب التعبير عن الرأي على شبكة الإنترنت منذ دخول الإنترنت إلى سوريا العشرين معتقلاً . وهذا ما جعل لجنة حماية الصحافيين تصنف النظام السوري في المرتبة الثالثة في قائمة أسوأ عشرة أنظمة في العالم بخصوص إعتقال ومضايقة المدونين . 7 مدونين معظمهم من الطلاب كانوا يشرفون على مدونة الدومري السوري، محكومون بالسجن لفترات تتراوح بين خمس وسبع سنوات ، المدون طارق بياسي ، محكوم بالسجن لثلاث سنوات. المدون كريم عربجي الذي حكم عليه بالسجن ثلاثة سنوات بتهمة نشر أخبار كاذبة. والكاتبان فراس سعد، محكوم بالسجن لأربع سنوات . وحبيب صالح، محكوم بالسحن لثلاث سنوات. والأخير يعتقل للمرة الثالثة اثنين منها بسبب نشر مقالات على الإنترنت . في 27\2\2008 اعتقل الكاتب أسامة إدوار قريو لمدة تسعة أيام على خلفية مقال نشره على مدونته، وأطلق سراحه بعد أن أجبر على إغلاق المدونة . وفي مارس 2008 اعتقل الكاتب محمد بديع دك الباب وحكم بالسجن لمدة ستة أشهر بسبب نشره مقالاً على الإنترنت . وفي أغسطس 2008 اعتقل المحامي عبد الله العلي، مدير موقع النزاهة نيوز، لمدة 12 يوم بعد دعوى أقامها ضد وزارة الاتصالات يطالب فيها برفع الحجب عن موقعه، وأطلق سراحه بعد أن أجبر على إغلاق الموقع . رغم أن المؤسسة السورية للاتصالات تعلن على صفحتها الرئيسية أن “الاتصالات وتقنية المعلومات سرية ولا يجوز لأحد الإطلاع على مضمونها إلا في الحالات التي تجيزها القوانين والأنظمة النافذة وبموجب طلب رسمي من المرجع المختص أصولاً” إلا أن ما يحدث مغاير لذلك تماماً فالخصوصية والتعليق باسم مجهول ممنوعين بأوامر من الأجهزة الأمنية والمسؤولين. في 25/7/2007 أصدر وزير الاتصالات والتقنية الأسبق عمرو سالم قراراً بتكليف من مجلس الوزراء السوري يأمر فيه إدارة المواقع الإلكترونية بذكر: “اسم ناشر المقال والتعليق بشكل واضح ومفصل”. وفي حال عدم الالتزام بذلك يكون المسؤولون عن تلك المواقع تحت طائلة العقاب بمنع الوصول إلى الموقع مؤقتاً وفي حال تكرار المخالفة يكون العقاب عدم الوصول إلى الموقع نهائياً. وفي 18\9\2007 نفذت الوزارة تهديداتها و”عاقبت” موقع “داماس بوست” الإخباري وحجبته لمدة 24 ساعة . في مارس 2008 أبلغت عناصر من الأجهزة الأمنية أصحاب مقاهي الانترنت شفهياً ضرورة تسجيل البيانات الشخصية لمستخدمي الانترنت في محلاتهم والاحتفاظ بسجل يومي يتضمن اسم المستخدم الثلاثي واسم والدته ورقم الهوية الشخصية أو جواز السفر ورقم الجهاز الذي يستخدمه وساعة حضوره إلى المقهى وساعة مغادرته. وإلزام أصحاب المقاهي تسليم هذا السجل إلى مندوبي الأجهزة الأمنية عند حضورهم . حالات اعتقال المستخدمين من داخل مقاهي الإنترنت ليست غريبة في سوريا، وتجبر الأجهزة الأمنية أصحاب المقاهي على التجسس على المستخدمين والإبلاغ عنهم في حال تصفحهم لمواد تعتبرها السلطات غير مرغوبة. ففي أواخر عام 2006 اعتقل عهد الهندي مع أحد أقربائه من داخل مقهى إنترنت في العاصمة دمشق وأطلق سراحهما بعد شهر تقريباً ، وفي فبراير 2009 اعتقل محي الدين عيسو مراسل موقع منصات من داخل مقهى إنترنت في محافظة حمص وأطلق سراحه بعد عدة ساعات. The well-known human rights activist and lawyer Haitham Al-Maleh was arrested yesterday afternoon by the Political Security Agency of Damascus. Mr. Al-Maleh has been the chief of the Human Rights Society, which was established in 2001, for several years. Haitham Al-Maleh (born in Damascus 1931), has the BA of Law, started his working as a lawyer in 1957. He became a judge in 1958. The Syrian authorities issued a special law in 1966 by which he was dismissed from his work as a judge, so he restarted working as a lawyer and remained so till now. He started his political activity in 1951 during the military regime of President Adeeb Al-Shishakly, and was arrested in 1980 – 1986 during the reign of President Hafez Al-Assad along with a big number of unionists, political activists and oppositionists because of his call for constitutional reforms. He’s gone on a hunger strike several times. He’s been working with Amnesty International since 1989, and he contributed, with others, to establishing The Syrian Society for Human Rights. It’s believed that the direct reason for his arrest is the interview which Barada Satellite TV Channel made with him one day before this arrest, as the TV channel belongs to Damascus Declaration for National Democratic Change, about human rights and public freedoms in Syria. السياسيين…. ضبوا غراضكن…. عفو رئاسي…. من هون لنص ساعة بيجي بطالعكن…. صرخ بأعلى صوته وأغلق الطاقة الصغيرة (الشراقة) في باب المهجع، المساعد المسؤل عن المهجع، هو كمان فرحان بفرحة المفرج عنهم وعائلاتهم، يعني الشباب طالعين من السجن، والمفرج عنهن كرماء وبيدفعوا حلوان وأخونا بلش يفرك إيديه…. المهم رجع المساعد بعد نص ساعة، فتح الباب: يلا لشوف انقسموا قسمين، السياسيين على اليمين والجنائيين على اليسار…. نفذ الجميع… لاحظ المساعد سجين في آخر طابور السياسيين، ولا يعرفه. انت شو عامل ولاه: سيدي أنا عامل بولد (مغتصب ولد بلا معنى) أجاب، لك يا حيوان ما سمعتني عم قول العفو للسياسيين بس، شو وقفك معهن، رد المساعد. أجاب السجين: سيدي شو يعني مفكر تطبيقة الولد ما بدها سياسة، الموضوع أصعب بكثير من مانكم مفكرين…. !